TNT has released the promo for I Am the Night episode 3, titled “Dark Flower,” briefly teasing Fauna and Jay’s paths are finally going to cross. Check out the promo below and catch the new episode on February 11! I Am the Night tells the incredible true story of Fauna Hodel (India Eisley), a young woman who was given away at birth. As Fauna begins to investigate the secrets to her past, she follows a sinister trail that leads her to infamous Hollywood gynecologist, Dr. George Hodel (Jefferson Mays), a man involved in the darkest Hollywood debauchery. 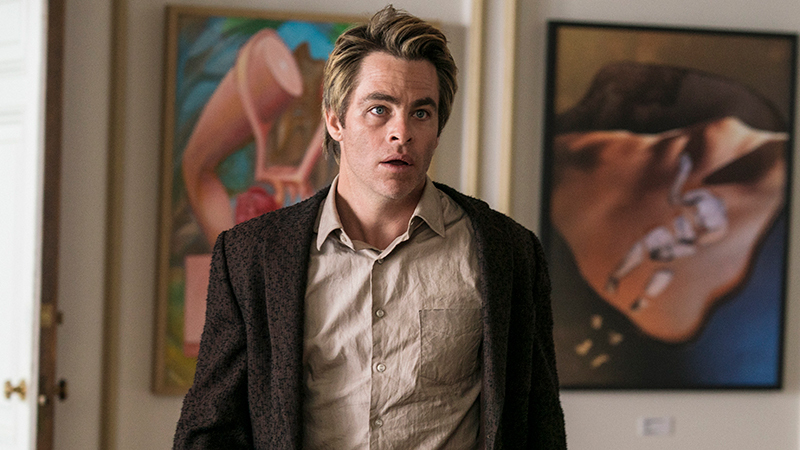 Pine stars as Jay Singletary, a former Marine-turned-hack-reporter/paparazzo. Fellow series stars include Eisley (Underworld Awakening, Look Away) as Fauna Hodel, Tony Award Winner Jefferson Mays (The Americans, Law & Order: SVU) as George Hodel, Yul Vazquez (Captain Phillips) as Billis, Justin Cornwell (Training Day, We Are Boats) as Terrence Shye, Dylan Smith (Maze Runner: The Death Cure, Lemonade) as Sepp, Jay Paulson (Mad Men) as Ohls and Golden Brooks (Girlfriends) as Jimmy Lee, and Leland Orser (Berlin Station) as Peter Sullivan, a Night Managing Editor for the Los Angeles Times. I Am the Night is written by Sam Sheridan (A Fighter’s Heart, The Disaster Diaries) and Monica Beletsky (Fargo, Parenthood). The series is being produced by Turner’s Studio T, with Jenkins, Anonymous Content’s Michael Sugar (13 Reasons Why, Spotlight), Pine and Sheridan serving as executive producers. The post I Am the Night Episode 3 Promo: Dark Flower appeared first on ComingSoon.net.